Steele Hall is the only Australian to serve as premier of a state as well as the member of three legislatures. His parliamentary career exceeded thirty-three years; for over twenty of those years he sat on opposition or cross-benches. Raymond Steele Hall was born in Balaklava, South Australia, on 30 November 1928, to Sidney, a farmer, and Florence, née Fisher. He attended Owen Primary School and then studied agricultural science at Balaklava High School, where he 'played all the main sports' and won an Intermediate continuation exhibition. After gaining the Leaving Certificate, Hall worked on the family property, an 800-acre wheat and sheep farm at Owen. Hall married Anne Fletcher, a schoolteacher, on 16 June 1956 at Adelaide; they had one son and three daughters. A foundation member of the Gouger District Young Liberals, Hall entered the South Australian House of Assembly at the general election of March 1959 as the member for Gouger, after defeating eight opponents in the Liberal and Country League (LCL) preselection contest for the blue-ribbon seat. A 'streak of independence' was soon noted in the young MP, most notably when, as a private member, he sponsored the Book Purchasers Protection Act 1963, ignoring Premier Playford's suggestion that he not do so. Despite this, it was said that Hall's 'fighting streak' caught his leader's eye, and he became Opposition Whip in March 1965. When the Premier retired, Hall had Playford's 'tacit support' when he comfortably won the LCL leadership ballot on 13 July 1966. Although the LCL had long been protected by a distribution of lower house seats that strongly favoured rural areas, Labor narrowly won office in 1965. Unable to force a redistribution through the Legislative Council, Labor was defeated in 1968 despite gaining a vote of 52 per cent. That the LCL could form a government was due to an independent MP accepting Hall's offer to become Speaker. The government did not resign immediately, for Premier Dunstan decided to let the House of Assembly formally indicate its preference as to who should govern. Six weeks of protest against the electoral system followed, before Hall became the youngest ever South Australian Premier on 17 April 1968. He was also Minister for Industrial Development, and later served as Treasurer (March–June 1970). Unusually, he requested not to be known by the title of 'Honourable'. The Hall ministry was more liberal than was usual for LCL governments as it pursued reform policies in social welfare, abortion law and indigenous affairs. This caused a schism, especially over the redistribution of House of Assembly seats. Hall's supporters were opposed by conservatives in the upper house, led by Cabinet minister Renfrey DeGaris. Hall believed that his party had no chance of retaining government under existing boundaries, so he pushed through a redistribution for an enlarged House of Assembly. Although some over-representation of rural areas remained, the new distribution was much closer to one-vote-one-value than previously—much to the dismay of many LCL members. In the short term, the redistribution virtually guaranteed the Hall Government's defeat, and has been described as: 'a statesmanlike piece of self-denying legislation'. By contrast, Hall failed in an attempt to introduce adult suffrage for the Legislative Council. Hall was determined that South Australia should ratify the agreement reached with other states and the Commonwealth to construct a dam at Dartmouth in Victoria. On 30 April 1970 the Speaker voted with the Opposition in support of an amendment proposing that a dam also be built at Chowilla in South Australia. Treating this as a matter of confidence, Hall took the state to an election on 30 May 1970, an action later described as: 'perhaps the most suicidal political decision in State history'. During the campaign the LCL put much reliance on the 'youthful side-burned image' of the Premier; LCL opponents never forgave Hall for the government's defeat. Hall's parliamentary party support had begun to wane, and in March 1972 his colleagues voted to remove a Liberal premier's power of choosing ministers, a move that Hall saw as a challenge to his leadership. On 15 March 1972 he stunned the House by seating himself on the Opposition back benches, and after receiving the call announced that he had resigned: 'I cannot continue to lead a Party that will not follow; I cannot lead a Party which has lost its idealism and which has forgotten that its purpose for existence is to govern successfully for the welfare of all South Australians'. Dunstan crossed the floor to shake his hand. A journalist believed these 'bitter' days illustrated Hall's 'well-known propensity for shooting from the hip'. Hall had expected to sit on the LCL back benches but public support prompted him and his supporters to consider forming a new party, and within weeks he had helped establish the Liberal Movement (LM). Unusually, this was seen as: 'a semi-autonomous but officially unrecognised progressive faction' of the LCL, with Hall as leader. This 'party within a party' status was shattered when the LCL vote fell badly in the 1973 election, after which the LCL declared the LM an 'outside political body', to which no LCL officer or MP could belong. A number of the LM rebels now abandoned Hall, preferring to remain within the LCL, but Hall and several others chose to resign from the LCL. The LM was never electorally strong, but its few MPs helped the Dunstan Government introduce adult suffrage and proportional representation for Legislative Council elections. Ambitious LM members came to believe that their leader's dominance was hindering the embryonic party's push for a wider membership and more parliamentary representation. Accordingly, Hall announced in September 1973 that he would seek a Senate seat in an effort to 'provide a national platform to promote LM policy'. The timing of Hall's Senate run was fortunate, for eight months later the unexpected double dissolution election of 18 May 1974 enabled him to win a seat on first preferences (9.8 per cent); Hall noted the irony in his being elected to an upper house. With the Whitlam Government and the Opposition each winning twenty-nine seats in the Senate, Hall shared the balance of power with Independent Michael Townley. His influence was therefore high, though it was clear that his view of upper house power had been coloured by his clashes with the South Australian Legislative Council, those he called 'other people in another upper house in another place', for he soon was calling for the removal of the Senate's power to block Supply. Hall wanted the Senate to be a 'House of review and not a House of execution', and he criticised Senate defenders such as Senator Reg Wright. While critical of Labor's plans for what he described as the 'socialisation of Australia', and often rejecting Whitlam Government proposals, Hall's vote helped pass such items as restrictive practices and simultaneous elections legislation. At the same time, he worked hard to uncover details of the so-called 'loans affair', supporting the calling of eleven public servants to the Bar of the Senate on 16 July 1975, and he played an important part in the questioning of an Adelaide builder, Gerry Karidis, before the Bar six days later. On the other side of the chamber Hall's relationship with the Liberal Party was soured by his criticism of the 'ambiguous, unintelligible garbage' of its leader, Billy Snedden, by his scorn for the conservatism of Senate Liberals, and his condemnation of the 'piracy' involved in the replacement of Senator Lionel Murphy. He attacked Coalition threats to Supply, and he rejected an offer to rejoin the Liberals, an offer that would have given the Opposition thirty-one of the sixty Senate seats, Townley having rejoined the Liberals. Hall continued to criticise Coalition support for malapportioned electorates, supporting the Whitlam Government's electoral bills in the 1974 Joint Sitting with an 'impassioned' speech. Hall's standing in the Coalition was clear from Senator Don Jessop's description of him as a 'Judas', and the fact that Liberal opponents distributed a list showing how many times he had supported government legislation. Hall's vote ceased to be as important following the death of Labor Senator Bertie Milliner, when the controversial appointment of Albert Field reduced the government's numbers in the Senate. Hall's attacks on the Coalition prior to the dismissal of the Whitlam Government were bitter: they had chosen 'a sleazy road to office', being prepared to 'take ... advantage of a dead man', while their leader would go down in history as: 'the leader who tried to cancel Christmas'. With the Fraser Government assuming control of the Senate after the 1975 election—in which Hall was nearly defeated—his place was now of little political consequence, and his 'acid tongue' was seldom heard in debates. In South Australia many in the LCL were concerned about the dominance of Dunstan's Labor Party, and amalgamation negotiations between the Liberal Movement and the LCL commenced quietly prior to 1975, though Hall's criticism of Fraser during the climactic days of 1975 ended these for the time being. A LM vote of 18.22 per cent in the 1975 South Australian election helped Dunstan cling to power, and saw the Liberals lose control of the upper house for the first time. As it therefore seemed clear that a reunited Liberal team was a prerequisite for the eventual defeat of the ALP, merger talks resumed and were successfully concluded by mid-1976. Hall excluded himself from negotiations, and promised that he would not seek Liberal Senate pre-selection, stating that he believed that the Senate would now 'go to sleep' for six to nine years, and as far as he was concerned, 'I just don't enjoy sleeping politically'. This did not stop him seeking to enter the House of Representatives, and he resigned his seat on 16 November 1977 to contest the South Australian seat of Hawker, which he lost narrowly in the December 1977 election. In 1970 the television political commentator, Joan Bullock, had joined Hall's office; on 5 August 1978 he and Bullock were married in Kent Town. They later had a daughter and a son. In 1993 Joan Hall was elected member for Morialta in the South Australian Parliament. Although Hall now spent more time on his farm, he defeated Alexander Downer for Liberal Party pre-selection for the House of Representatives seat of Boothby, which he won at a by-election on 21 February 1981. His swearing-in was watched with interest, and a 'loud and uniform sigh' was heard around the chamber when Prime Minister Fraser shook his hand. Liberals were soon disappointed, however, for Hall revealed what commentators came to call his 'maverick' streak. He criticised aspects of the Fraser Government's broadcasting and television legislation; he accused the Minister for Transport of an anti-South Australian bias in regard to road-funding; he ridiculed the efforts of the 'Razor Gang' to reduce government administrative costs; he criticised the Government's wildlife protection legislation which he described as 'wrong-headed and mis-directed'; and he saw John Howard's criticism of Asian immigration as encouraging racism. He crossed the floor on two occasions, in 1987 and 1988, and in 1981 he was one of a minority of members who voted against a motion referring an article by the journalist Laurie Oakes to the Committee of Privileges. In March 1986 Hall was alarmed by trade practices legislation which he saw as assisting Robert Holmes à Court's attempt to take over BHP. The second reading of the bill was carried on the voices, but Hall requested that his lone 'dissident vote' against the measure be recorded. As the struggle between 'Wets' and 'Dries' weakened the Liberals he lamented his party's swing to the right, describing 'the land of the Dries' as 'a primitive and arid place'. Hall thus isolated himself from his party. Andrew Peacock had put him on the Opposition front bench as shadow special minister of state in March 1983, but did not reappoint him after the 1984 election, and Howard passed him over when he replaced Peacock in September 1985. Hall stated that time on the back bench would give him freedom to enunciate his views when they clashed with Liberal policies. Many Liberals were angered by his claim that it was Liberal policies, rather than the 'Joh for Canberra' campaign, which handed the 1987 election to Labor. In 1994 he stunned the Liberal Party room by demanding from Bronwyn Bishop a pledge that she not challenge party leader, John Hewson; Bishop maintained a 'grim silence' at his effrontery. Hall thus slowly moved to the fringes of politics, opposed by many in his own party, rarely addressing the House—he spoke just five times in 1994—and isolated from the political mainstream. It was said of him, that 'a cantankerous streak' had 'settled into a habit'. An observer pitied him: 'To sit in the gallery and watch the days wearing away at him was to glimpse something of the pathos of the political existence. It was a rare thing for him to ask a question, make a speech, make any discernible movement at all'. 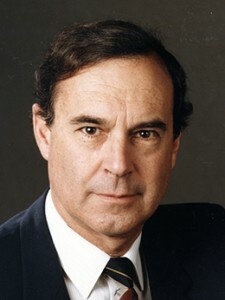 Periodic threats had been made against his party preselection, but Hall's parliamentary career eventually came to an end when he chose not to re-contest Boothby in 1996. Forthright, and with a reputation for integrity and political courage, Steele Hall displayed a remarkable ability to annoy his party colleagues. There was a note of satisfaction in his claim that: 'I do not have a record which is wimpish or weak'. Speaking in 1995, Hall described his political career as 'a wonderful time and experience', and said that he had 'no regrets', although he did express concern that many voters failed to understand or appreciate the importance of adversarial politics in nourishing a healthy democracy. A journalist suggested he was 'at his brilliant best when ... attacking his own', while another described him as 'Too quick on the draw, too impulsive and too stubborn'. Steele Hall certainly had difficulty in playing the party game. Advertiser (Adel. ), 14 July 1966, p. 2. Sunday Mail (Adel. ), 7 Aug. 1971, p. 82; S. T. Barnard, 'South Australia', in Max Harris and Geoffrey Dutton (eds), Sir Henry, Bjelke, Don Baby and Friends, Sun Books, Melbourne, 1971, p. 66. Dean Jaensch, The Government of South Australia, UQP, St Lucia, 1977, pp. 47–8; Neal Blewett and Dean Jaensch, Playford to Dunstan: The Politics of Transition, Cheshire, Melb., 1971, pp. 170–1; Andrew Parkin, 'The Dunstan Governments: A Political Synopsis', in Andrew Parkin and Allan Patience (eds), The Dunstan Decade. Social Democracy at the State Level, Longman Cheshire, Melb., 1981; Clerk of the House of Assembly, 16 July 1970, information from South Australian Parliamentary Library. Blewett and Jaensch, Playford to Dunstan, pp. 177–8, 183; Andrew Parkin, 'Transition, Innovation, Consolidation, Readjustment: The Political History of South Australia since 1965', in Dean Jaensch (ed), The Flinders History of South Australia, Wakefield, Netley, SA, 1986, pp. 298–300. Blewett and Dean, Playford to Dunstan, p. 200; Andrew Parkin, 'Embracing the Dunstan Decade: A Tale of Two Elections', in Jaensch (ed. ), The Flinders History of South Australia, p. 478; Steele Hall, 'Beyond Compromise', in Steele Hall et al., A Liberal Awakening. The LM Story, Investigator, Leabrook, SA, 1973, pp. 30–1; SAPD, 15 March 1972, p. 3885; Dean Jaensch and Joan Bullock, Liberals in Limbo. Non-Labor Politics in South Australia 1970–1978, Drummond, Melbourne, 1978, p.1; CT, 28 March 1972, p. 2. Jaensch and Bullock, Liberals in Limbo, pp. 45–9, 85–6, 97; Andrew Parkin in Jaensch (ed), The Flinders History of South Australia, p. 309. CPD, 11 July 1974, p. 99, 1 Oct. 1974, p. 1545, 13 Aug. 1974, p. 854; Australian (Syd. ), 7 Feb. 1975, p. 3; Age (Melb. ), 5 May 1975, p. 5; CT, 12 Feb. 1975, p. 10; Herald (Melb. ), 30 July 1975, p. 3; CPD (J), 6 Aug. 1974, p. 16; P. G. Tiver, The Liberal Party: Principles and Performance, Jacaranda, Milton, Qld, 1978, pp. 162–3; CPD, 10 June 1975, p. 2439; Transcript, ABC Radio, 'AM', 22 Sept. 1975; Gavin Souter, Acts of Parliament. A Narrative History of the Senate and the House of Representatives, MUP, Carlton, Vic., 1988, p. 535. Graham Freudenberg, A Certain Grandeur. Gough Whitlam in Politics, Macmillan, South Melb., 1977, pp. 303–4; CPD, 25 Feb. 1977, p. 477, 16 Oct. 1975, p. 1239, 15 Oct. 1975, p. 1179; Transcript, Channel 9 TV, 'A Current Affair', 11 Nov. 1975; Age (Melb. ), 28 Aug. 1976. Dean Jaensch and Joan Bullock, Liberals in Limbo, p. 139; Advertiser (Adel. ), 7 April 1976, p. 4; Australian (Syd. ), 12 May 1976, p. 8; Age (Melb. ), 27 April 1976, p. 4. SMH, 28 Feb. 1981, p. 13. CPD (R), 5 June 1981, p. 3248; Advertiser (Adel. ), 25 Feb. 1981, p. 8; SMH, 1 Aug. 1981, p. 15; CPD (R), 18 Aug. 1982, pp. 517–20, 25 Aug. 1988, p. 458, 8 Sept. 1981, pp. 1025–7, 20 March 1986, pp. 1718–54; Advertiser (Adel. ), 15 Dec. 1984, p. 1; Age (Melb. ), 24 Aug. 1985, p. 5, 15 July 1987, p. 13, 2 Feb. 1994, p. 1; CT, 20 Aug. 1994, p. 15; Weekend Australian (Syd. ), 1 March 1986, p. 4; SMH, 22 Aug. 1994, p. 15. Advertiser (Adel. ), 21 March 1986, p. 7; Transcript, CTC7 TV 'News', 28 Jan. 1987; CT, 28 March 1972, p. 2; 'Profile: Steele Hall', House Magazine, 29 Nov. 1995, pp. 2–3. This biography was first published in The Biographical Dictionary of the Australian Senate, Vol. 4, 1983-2002, Department of the Senate, Canberra, 2017, pp. 252-255.